There are many cosmetic dental procedures available to enhance smiles. In fact, there are so many, that some patients may be overwhelmed by the choices and become uncertain about which route to take. Porcelain veneers are a popular and effective method for changing the appearance of your smile, subtly or dramatically. If you are unhappy with flaws and imperfections in your smile, there is hope. 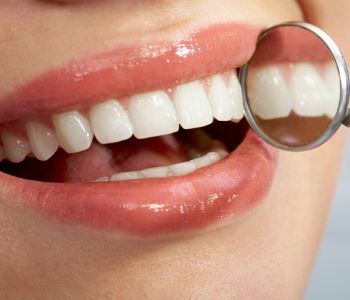 In as little as two visits, the appearance of your teeth can be completely transformed. Color – While teeth whitening is still the number one method for addressing dull or dingy teeth, there are some instances when teeth are resistant to whitening. Fluoride or tetracycline staining along with trauma discoloration can be covered with veneers. You choose the shade of white, allowing you to return to our natural color, or have a smile that is even whiter. Spacing – If you are dealing with larger than normal spaces between your teeth, porcelain veneers can alter the shapes of teeth to close gaps. 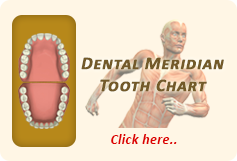 Sizing – Many people struggle with teeth that are either shorter or taller than the rest of their dentition. This can be especially true for patients who grind their teeth. Veneers bring uniformity to the size of teeth. Damage – Cracks, chips, or fractures in tooth enamel can be covered by veneers. Shape – Teeth that are irregular in shape can be transformed with veneers, to match the rest of your natural teeth. Regardless of whether you want to cover a few perceived imperfections or completely overhaul your smile, porcelain veneers are a versatile and long-lasting solution. Our team is highly skilled and trained at placing veneers to give you that show-stopping smile that you have been dreaming about. If you are in the Rochester, MI area and would like to learn more about the advantages of porcelain veneers, call us today to schedule a consultation. The number is (248) 651-6810. Did you know that you can now share the experience you had with us via an audio testimonial? Call this toll-free number (888) 258-4943 and record your audio review now! Recording an audio review is as easy as making a phone call! "Dr Aurelia and his staff are very professional and deliver a high level of care. Questions are always answered with understanding and kindness. I am so pleased with the care delivered by Dr Aurelia and his staff." "Today I had my first filling and it went very smoothly! Doctor Aurelia numbed my mouth and filled my tooth very fast. It was not painful or uncomfortable at all. If you need to get a filling go to Doctor Aurelia! He is the best!" "High quality dental care with pleasant staff and surroundings at reasonable prices. " "Been a patient of John for many years and could not be happier with him and his staff. This is the best dentist I have been to. The staff is thorough, professional, friendly, helpful, and very prompt with appointment times."